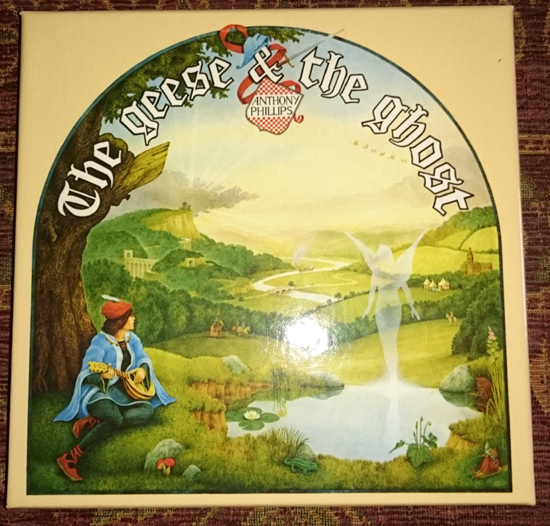 I’m taking a look at the latest reissue of Anthony Phillips’s 1977 debut solo record, The Geese And The Ghost. Over the years, and to my shame, I had pieced together a kind of composite memory of Anthony Phillips’s later 1970s albums; Wise After the Event (1978), Private Parts and Pieces (1978) and Sides (1979). Regrettably, Anthony Phillips dropped off my personal radar as the ’80s arrived and I moved away from South Wales to forge an early adult existence in London to a backdrop of The Cure and Japan and other post-punk bands, so I confess that my knowledge of his extensive back catalogue probably doesn’t do him due justice. 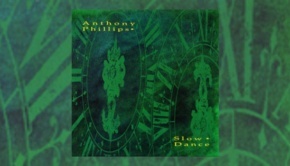 Anthony started writing some of the songs on this album in collaboration with Mike Rutherford when he was still a member of Genesis. I have imagined them sitting together in the early days, imagining a writing partnership to rival Lennon and McCartney. But Genesis were a busy band and Mike Rutherford’s commitments meant that work on the album was delayed. By the time it was released we’d had a chance to witness the evolution of Genesis and A Trick Of The Tail was out and doing well. Ties to the band that he helped create and the guest appearances of prominent members of Genesis will prompt inevitable comparisons with the early Genesis albums. The Geese And The Ghost shares its DNA with the band who many of us are familiar with, but because some of the the songs have older roots than post-Gabriel Genesis, The Geese and the Ghost feels more like snapshots from their ancestry rather than music from a contemporary. The music on this album also feels a good deal more abstract. 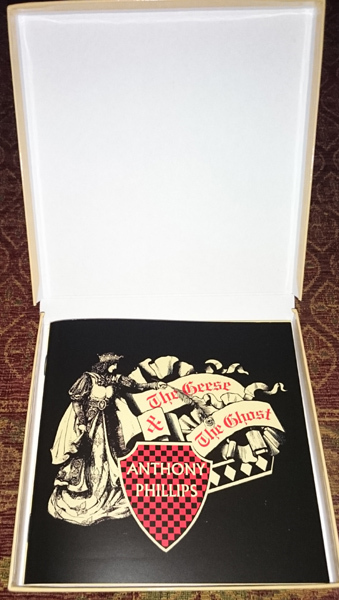 There have been a few re-releases over the years but this latest boxed edition of The Geese And The Ghost from Esoteric Recordings is a rather splendid little package. It comes as a boxed set of three discs, two CDs and one DVD, numbered in such a way that the format is noted but not emphasised. I’d like to have compared the packaging to my old vinyl copy but my vinyl and deck are in the loft, after successive house moves and several decades. The box itself is a sturdy affair and closely resembled the original Crackly Disk… I mean vinyl version. The three disks are in miniature sleeves and are all similar to look at, except for small labels showing the disc number. Disc One is the Stereo Remaster on CD. Disc Two is also a CD and contains bonus tracks comprised of previously unreleased material, a demo and “basic tracks”. Disc Three is the one that sparked my interest, the 5.1 Surround Sound mix, with a Dolby Digital and a DTS version. Along with the three disks is a small fold out sheet boasting artwork from the original album on one side. On the reverse there are notes relating to Henry: Portraits from Tudor Times. This gives that track elevated importance over its siblings. 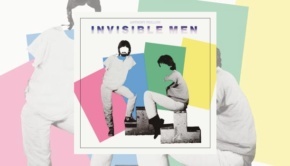 There is a booklet containing 23 pages of information including the track listings for each of the three discs, a foreword by Alan Hewitt, a history of the making of the album, credits, acknowledgements and pictures showing some of the artwork that appeared on the original release and promotional material. As far as the songs are concerned I like to review as I listen but I’d already decided when I agreed to do this review that this release deserved a more considered approach. I wanted to listen to it a few times to re-familiarize myself with the album as I needed to do this album justice. As I listened it began to sink in just how long-lasting and influential Ant Phillips was to the classic Genesis sound. I’m referring, arguably, to their most Progressive era, Selling England By The Pound being the zenith of albums built on this template. That’s how I judged everything they did from Trespass to Wind and Wuthering. I began wondering what it would sound like in 5.1 surround sound so after a quick look at the contents of the box I persuaded Mrs Phil to let me put it in the Bluray player and give it a spin. This album has been around long enough for many people to already have well established opinions on its musical content. I’m sure I’m not the same person I was when I last spinned this disc so I expected to have forgotten large chunks of it. As it happened I had forgotten quite a bit but was pleased when some parts reconnected long broken synapses. My immediate impression of any classic album in this format is almost always how well suited they are to 5.1 mixes despite being decades away from the technology that enables it. This is no exception. Which Way The Wind Blows places instruments and voice perfectly within the mix giving it the feel of music being performed in the room with you. I found The Geese And The Ghost to be a very pleasant collection of sounds. It has an acoustic ambience, drums and bass guitar are never centre stage. I can only imagine that this was by design because Mr P. had a very useful rhythm section available in Mike Rutherford and Phil Collins. Perhaps this was a conscious decision to help prevent it sounding like another Genesis album. To my unsophisticated ear, the drums are especially conspicuous by their absence for the majority of the album. Despite my caveman approach to the lack of percussion and soaring bass-lines, the sound is full and expressive. It takes time to soak it up. This is a rustic affair but not, as that implies, an unsophisticated or simplistic album. As the roots of some of the songs date back to the late sixties but this album was not released until the late seventies there is a slightly anachronistic feel to the music. The title track is full of some of the memorable musical phrases I was waiting for. I say musical phrases because I’m not sure riff is the right word. Ironically one track jumped out at me and it must be one of the shortest songs ever, Chinese Mushroom Cloud. Brief and bulging with potential, it is cut down before it gets a chance to develop. 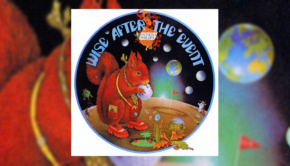 If you want to hear a more band/song orientated album I would recommend Wise After The Event. You need time to ease yourself into Anthony Phillips’ world. It isn’t for those confined by a world geared toward instant gratification. It may arguably be the bedrock of the Gabriel era Genesis sound and I’m sure I even hear some of those chord sequences in modern prog. It’s like a template for the “prog” genre, though that template had been in use a while by the time this album was released. For the purposes of reviewing the music, I saw little point in putting on Disc One as the tracks were the same as on Disc Three but mixed in Stereo. Somehow I felt that after the immersive surround-sound mix it would make stereo an anti-climactic experience. The second disc probably needed a listen to see whether it justified itself. I enjoyed giving it a spin but, to be honest, the CD release and the DVD make this album good enough value in the first place. If you decide to buy this release then I will leave this to you as an Easter Egg. I’m not sure this is an album that has much to engage the senses of modern audiences, used to synthesisers, guitars treated with all manner of sophisticated effects and technically astonishing drummers playing 5 over 4 and 7 over 8. I’m as bad an example as any of someone whose attention span has been eroded through exposing myself to a world dominated by converged technologies, social media, MP3s and sophisticated smart phones. I am guilty of occasionally acting on that horribly impatient and dismissive acronym which bests sums up the modern world: TLDR*. The technologies used to produce and play back this version were probably the stuff of science fiction when it was originally recorded. Despite this, the overall presentation is sympathetic to the original release. Opening the box gave me a fleeting feeling of nostalgia, like the first ever opening of a gatefold vinyl sleeve. Not only does the DVD boxed set and packaging do the album justice, but this shows how good 5.1 can be (even if it isn’t a Steven Wilson remix) and why surround sound should be the future of all quality recorded music. 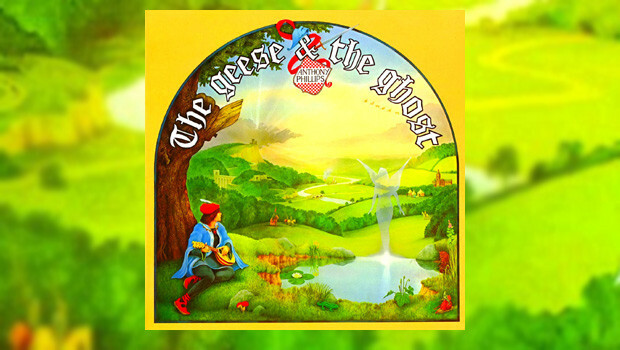 When all is said and done, I warrant that for most people The Geese And The Ghost is a pleasant exercise in nostalgia with a modern twist on the listening experience. Who should buy this? 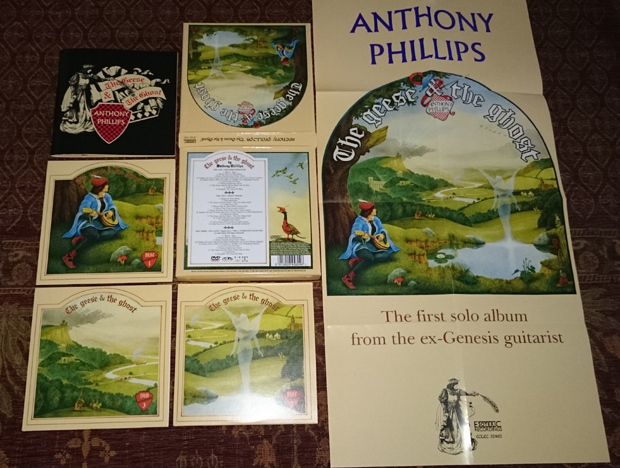 If you’re a fan of Anthony Phillips or perhaps a Genesis “completist” then this could be considered an important addition to your collection. If you don’t already have it I’d definitely get this version. If you have or plan to have a system that will play the 5.1 surround version it is a must.